A few months ago I came across an article that many in my circle are talking about – In Praise of Imperfection which was written for More Magazine by Priscilla Gilman. Ms. Gilman addresses the complicated subject of autism. Many of us have first-hand experience, or know someone who is managing a child with autism. 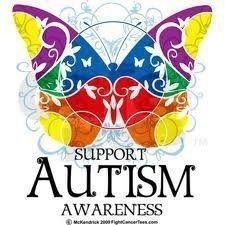 Growing up, I always felt there was a high degree of insensitivity to individuals with this disorder. Now that I am older, I attribute this behavior to insufficient and/or incorrect information. 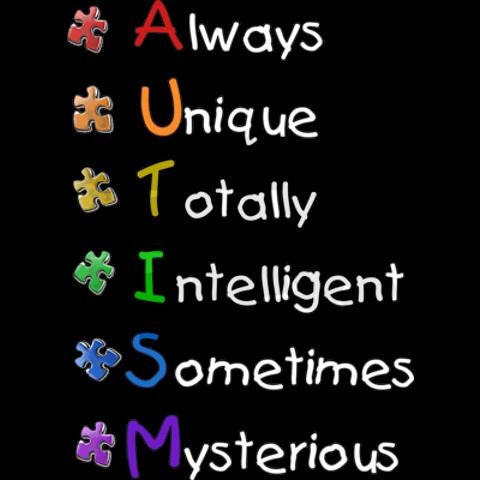 Additionally, there are long-standing myths about autism that need to be refuted. Thankfully we now live in a time where parents, caretakers, and professionals have been empowered with the information they need to discuss the challenges they face with candor and sensitivity. 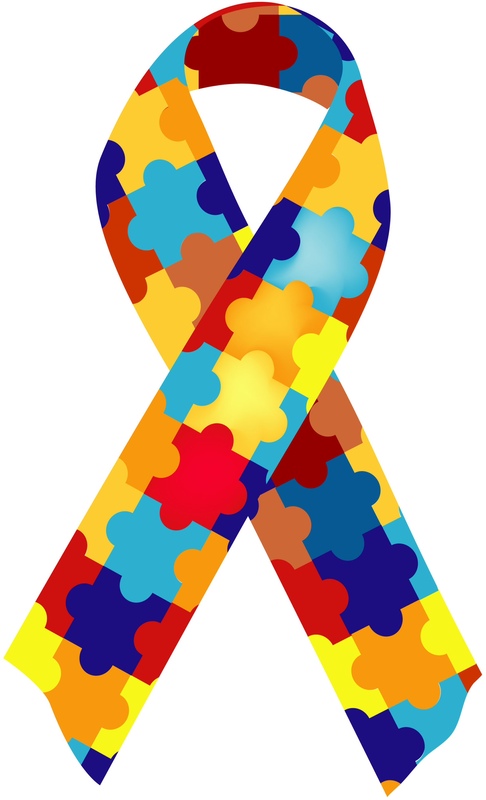 I am pleased to share with you Ms. Gilman’s article which addresses how she came to terms with her son’s struggle with autism and what she learned from him in the process. Twelve years ago, at 31 years old, I seemed to have all the components of a conventionally successful life: a handsome and brilliant husband, a promising career as an English professor at Yale, an adorable toddler and another baby on the way. But when, shortly before his third birthday, my son Benj was diagnosed with a host of special needs, the illusion of my perfect life fell away. Benj had been reading fluently, spelling complicated words, reciting swaths of poetry and doing math problems with ease since he was two, but now these gifts were revealed to be signs of hyperlexia, a developmental disorder often found in autistic children and characterized by early reading, challenges with verbal communication and impaired social skills. He had gross and fine-motor delays and sensory sensitivities. He suffered from intense anxiety about changes of plan. Aloof, meticulous and compulsive, he spent hours lining up his blocks and toys in fastidious rows. I, on the other hand, was affectionate, messy and creative. How could I support a child who was so unlike me? As we went from one specialist to another, I hoped that I could learn how to communicate better with Benj, even if I couldn’t completely understand him. One day a speech therapist was teaching Benj how to ask for help rather than scream in frustration or shut down. As I listened to her repeat the phrase I need help, I realized that I, too, had a hard time saying those words. I was the one who helped. My father had struggled with depression, and I had been the sunny presence that buoyed and comforted him. In school I counseled and offered advice to my friends. I’d minimized my own problems, and all this caregiving and bolstering, this inveterate optimism, had taken its toll on me. I found a therapist and shared with her my worries about Benj. For the first time ever, I revealed myself as I was: afraid, vulnerable, in need of assistance. What Benj did literally, I soon understood, I had always done figuratively. He marshaled his toys and became agitated if anything was out of alignment. I had married young, planned an academic career and been the first of my friends to get pregnant. I’d plotted things carefully and wanted all the pieces in place. Tackling my child’s special needs had inadvertently freed me from perfectionism and the need to micromanage my future. The next few years brought great progress for Benj and me. Rather than accelerating my career, I slowed down, reflected and worked on accepting myself. I wrote a memoir exposing my dark, scared feelings—a huge step for someone who’d guarded her inner life and written only dispassionate essays. Being Benj’s mother has taught me how to celebrate each tiny milestone (Benj accepted a hug! Benj asked his little brother if he’d had a good day! ), how to let go and let be, how to not fret over anticipated disaster and how to inhabit the present more fully. Helping him understand that problems will be thrown our way and that there isn’t always one definitive right answer has deepened my own understanding of the essential mystery at the heart of life. No longer what the poet Theodore Roethke calls “time-harried prisoners of Shall and Will,” Benj and I live the questions together. 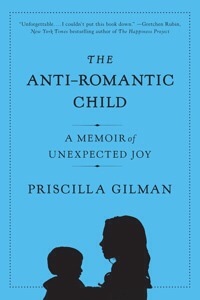 Priscilla Gilman is the author of The Anti-Romantic Child: A Memoir of Unexpected Joy. A few minutes ago we lost a great intellectual, a leader, seeker of truth and a great visionary – Dr. Maya Angelou. Like many of you, I grew up listening to, and often reciting, Dr. Angelou’s great poems. She entered my life at that awkward time when I needed a role model to look up to. Of course there was my mother, and many strong women who helped her to raise me, but I also longed to model a wise woman who I could add to my inner circle. Dr. Angelou was this person for me. Whenever I would sit and read I Know Why The Caged Bird Sings, Life for Me Ain’t Been No Crystal Stair, Phenomenal Woman, and Still I Rise, the world somehow seemed better. It was as if everything, and everyone, was kinder and easier to understand. There is true power in the written word. I came across Dr. Angelou’s interview with Bobby Jones titled The Mask and I wanted to share it in her honor. Brooklyn Legends joins the world in mourning the loss of Dr. Maya Angelou. Thank you dear Maya. You will always be a beacon for many of us. This article, For Jamaican Writers, New Place of Opportunity Is in Brooklyn, was written by Christina Brown for the Huffington Post, October 2013. As an aspiring author, I was intrigued by Ms. Brown’s story. Frequently, I receive e-mails from many of our readers who are looking for encouragement on how to start their writing projects, tips on how to stay motivated and general information about the process. I am always flattered when I receive these notes; especially since I too am a writer in training. Ms. Brown’s article does not provide an overview of the writing process from beginning to end. However, as a Brooklynite, I found myself relating to many of the illustrations she provided and the authors too! I thought you might enjoy reading it. As always, please let us know what you think. The smell of Jamaican patties and jerk chicken and the sounds of the West Indies Patois were very much in evidence during the annual Brooklyn Book Festival. Both cuisine and the language were a reflection of the popularity of Caribbean writers in general, and Jamaicans in particular, in the Brooklyn literary scene. On one night of the festival, at least 75 people lined the gallery at MoCADA, or the Museum of Contemporary African Diaspora Art, to hear West Indian-born writers, including Diana McCaulay and Ifeona Fulani, both from Jamaica, wax poetic about how the cultural landscapes of Jamaica and America have influenced their material. Buoyed by interest from American publishers and perhaps more importantly, readers who reflect the city’s consistent growth of Caribbean immigrants, a new generation of writers from Jamaica, is finding literary, if not financial, success. “We have to be happy that we have space at the table and happy that someone is willing to engage your part of the narrative,” said E. Wayne Johnson, 45, a Jamaican arts and literary enthusiast who has lived in Brooklyn for more than 20 years. Johnson is Arts Director of the Caribbean Cultural Theatre and helped organize the MoCADA event, held on September 19, which featured seven authors from the Caribbean, including McCaulay and Fulani, reading excerpts from their books. “We as a community are not consumers of our own work or culture. It might sound parochial, [but] the harsh reality of internationally successful writers has made it, because they were a big thing somewhere else,” said Johnson, with a soft but distinctive West Indian lilt. 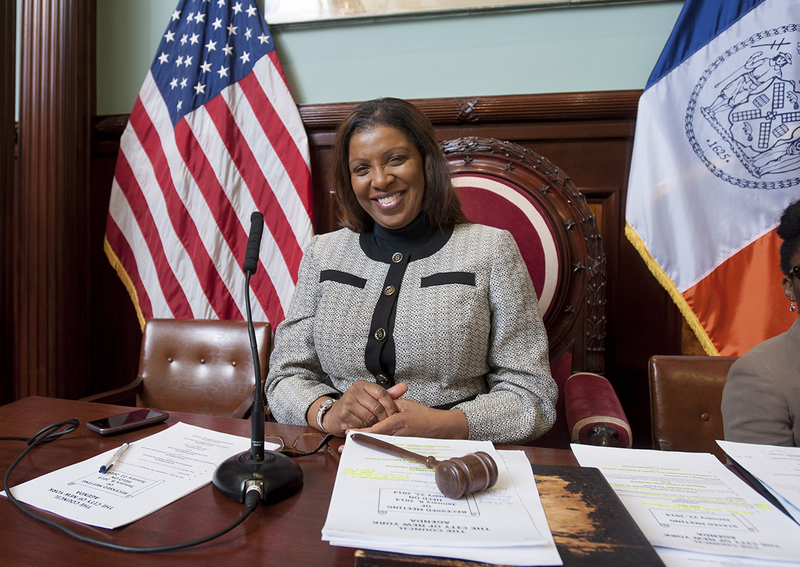 Census data show Jamaicans account for nearly 200,000 of New York City’s Caribbean immigrants. Making them the third largest group among those foreign-born, surpassed only by people from the Dominican Republic and China. Excited by the opportunity to interact with readers and writers from the Caribbean, McCaulay flew from her hometown in Kingston, Jamaica, to participate in the book reading. 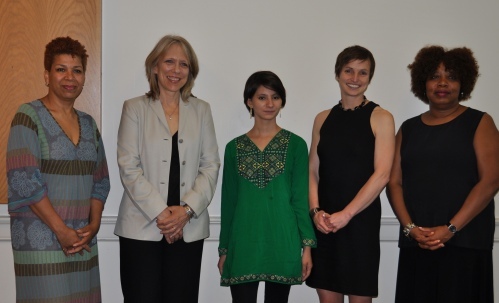 She also joined a panel discussion at St. Francis College, on Sunday, September 22, to promote her second novel, Huracan. “I [like] reading to my own people … my book is about leaving and going home,” said McCaulay on Thursday night. 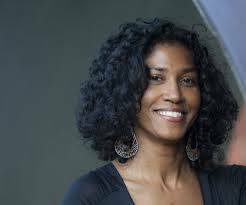 The main character in her book grapples with returning to Jamaica after a loss in the family, a sentiment McCaulay believes her audience should readily understand. Nicole Dennis-Benn, 32, originally from Jamaica, now a writing professor at the College of Staten Island, came to the festival to connect both with readers and other writers. Her novel, Run Free, about a transgender Jamaican boy is set to be published next year. 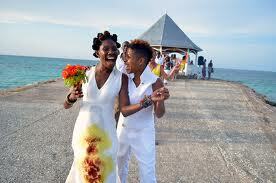 “As a writer myself, it’s important for me to have a relationship with other Jamaican authors, especially given Diana McCaulay is [known] to write outside of the box,” said Dennis-Benn, with her wife Emma by her side. Despite the population numbers that seem to illustrate a picture that Brooklyn is filled with people who may be able to identify with the characters in the poems, novels and stories of Jamaican writers, “It’s not like it’s a lucrative business,” said Johnny Temple, founder of independent publisher Akashic Books, and chair of the Brooklyn Borough President’s Literary Council. Many of the authors supplement the income from their literary work with other jobs. McCaulay is an environmental activist in Jamaica, and runs the non-profit, Jamaica Environment Trust. “There’s lots of fantastic writers … a lot of publishing companies in Jamaica are getting more established,” Temple said on the last night of the weeklong festival, after wrapping up the last of 60 events from Sept. 16 to 22, that attracted 350 writers from across the U.S. as well as the international writing community. Alex Neptune settled in the U.S. 40 years ago, after leaving his home in Georgetown, Guyana. “I don’t read too many novels so when I do read, I want to make sure I’m going to finish the book that I’ve started,” said Neptune, after the talk at the MoCADA. He works in New York’s insurance and real estate industry and he wanted Oonya Kempadoo, the British born, but of Guyanese lineage author, of All Decent Animals, to sign his copy of her book. “I don’t have to think too much about what the writer is saying … when she expresses herself on different issues, I can relate,” said Neptune. “How are you doing?” a woman asked E. Wayne Johnson, who was perspiring in his salmon colored button down shirt as he carried chairs, trying to determine where to add seats in the already packed gallery before the group, Caribbean Cultural Theatre, opened Thursday’s book reading. “Yeah mon, I’m goodish,” responded Johnson, in the Patois dialect commonly heard throughout Jamaica. Largely regarded as a spoken language, Patois has over the past several years increasingly gained traction as a literary language. But in some circles, according to the West Indian author Robert Antoni, 45, its use had been considered a reflection of one’s typically low socioeconomic class and status. “We writers of the next generation have stood up, and embraced this language. It has taken over our writing. I think if anything characterizes West Indian language, West Indian novels, West Indian poetry, it’s been the embracing of the vernacular … the vernacular is always posited against another language. That language is what we call proper English, but the vernacular is a living thing and proper English is locked up in the dictionaries,” said Antoni. I am pleased to finally say that spring is almost here, and just in time too. This is my absolute favorite season, for it represents a time of rebirth and renewal. Old plans are redefined and sharpened, and everyone contemplates what’s new? Last week, we at Brooklyn Legends took this question to heart. Here is what we came up with. We have made a few additions to the Brooklyn Legends home page that I am excited to share with you; Brooklyn Sounds and Brooklyn Sights. As you might have guessed, Brooklyn Sounds features a song from a Brooklyn vocalist, and Brooklyn Sights provides a glimpse of the beautiful places in Brooklyn. I know that many of you follow our posts on a smart phone or tablet. However, these new features are best viewed when using a computer. When you get a moment, please spend some time on our site. Don’t forget to tell us what you think. Continuing with the theme “what’s new,” today’s post will mark the first time we highlight a journalist from Brooklyn. I can think of no one better to feature than Michel Martin, the Emmy award-winning journalist and host of NPR’s Tell Me More, which she created 7 years ago. What makes this show special is the way that Martin explores topics that focus on how we live and collaborate and how we handle collisions that arise during life’s more challenging moments. Martin is highly praised for featuring provocative, accessible conversations that go behind the headlines with global newsmakers and people you might meet on the street. In today’s fast-paced world, accessibility is an important key to growth. Tell Me More makes room for new voices to be heard on public radio, and social media outlets, while making the connection between traditional public radio and communities of color. Barbershop and Beauty shop – designed as a forum for no-holds-barred conversations on the news from men and women in one of the community’s favorite gathering place. Moms – designed as a resource for moms, dads and grandparents. This is one of the show’s original segments that featured everyday parents and recognized experts. Faith Matters – designed to examine the powerful role faith and spirituality play in everyday life across denominations and faith traditions. Wisdom Watch – designed as vehicle for highlighting views of distinguished ‘elders’ who are thought-leaders and influencers from around the world. Money Coach – designed to provide insights into personal finance, the economy and financial literacy. Political Chat – designed as a place where newsmakers, trusted analysts and sharp rising stars in the world of commentary could reflect on national affairs. Behind Closed Doors – designed as a safe space to discuss issues that most people tend to keep private. Before Tell Me More, Martin had already distinguished herself as a serious journalist. She joined the NPR family from ABC news where she worked since 1992. 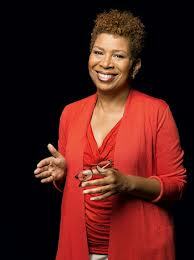 During her tenure at ABC, she served as a correspondent for Nightline from 1996 to 2006. Among the many stories she featured were: The United States Embassy bombings in Africa, racial profiling in the aftermath of Hurricane Katrina and the Congressional budget battles. In addition to her role as a correspondent, Martin was a regular contributor to numerous ABC programs and specials including: coverage of the September 11 Tragedy, the Anita Hill and Clarence Thomas controversy and reports for the series America in Black and White. She was also a regular panelist on This Week with George Stephanopoulous. Prior to her tenure with ABC, Martin covered state and local politics for the Washington Post, and national politics and policy at the Wall Street Journal, where she was also the White House Correspondent. She has also appeared as a regular panelist on Washington Week, a popular PBS series, and a contributor to NOW with Bill Moyers. Martin has received awards from several influential organizations, including: the Candace Award for Communications from the National Coalition of 100 Black Women, the Joan Barone Award for Excellence in Washington-based National Affairs/Public Policy Broadcasting from the Radio and Television Correspondents’ Association and a 2002 Silver Gavel Award from the American Bar Association. In addition to her Emmy award, she has received 3 additional Emmy nominations, including one with NPR’s Robert Krulwich for an ABC News program examining children’s racial attitudes. We at Brooklyn Legends are so proud of Michel Martin. She is a consummate professional who is dedicated to her craft and committed to excellence. She has set the bar high and will continue to be a role model for future generations of Brooklyn women of color, who aspire to be journalists. For this, and so much more, we salute her!